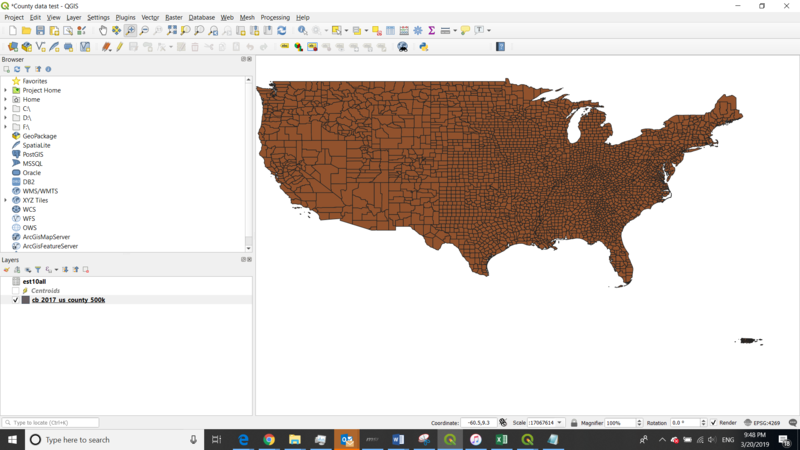 I am creating a Poverty Choropleth from a vector file using polygons to represent each county in the United States. 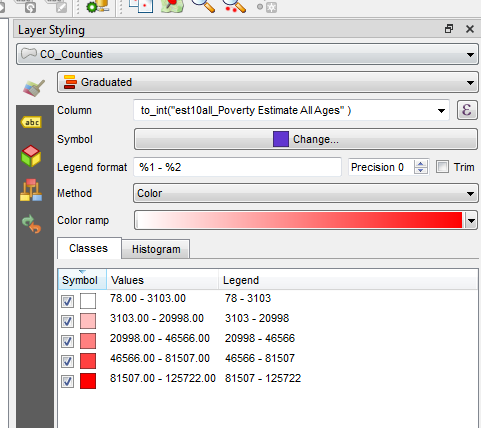 I joined the poverty Excel file with a text file to convert the poverty column from a string to an integer. I used a graduated symbol style, but some of my states are not getting filled. I am completely new to QGIS, I would like to understand how to fix this? 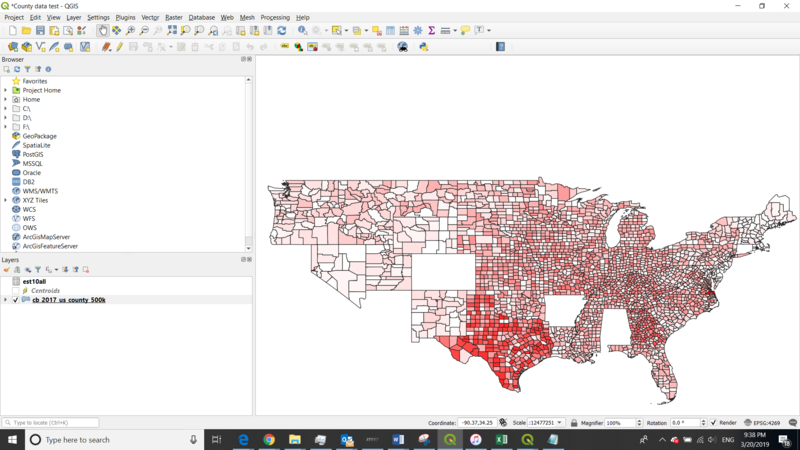 There is a few things going on in that CSV that need to be cleaned up before using in QGIS. Be sure to remove the record for Hawaii that has a '.' in the value for poverty. That is causing the big issue here, which is the poverty values in the CSV being read as 'text' rather than 'integers'. Lastly - I tried to use the 'import CSV' option, but it reads the GEOID as integer, and loses the leading 0. By simply dragging and dropping the file onto QGIS, it adds the CSV differently and reads all the fields as STRING. Not the answer you're looking for? Browse other questions tagged qgis style choropleth or ask your own question. How do I style polygons based on data from a column?